I was at the airport on a Sunday in late May. 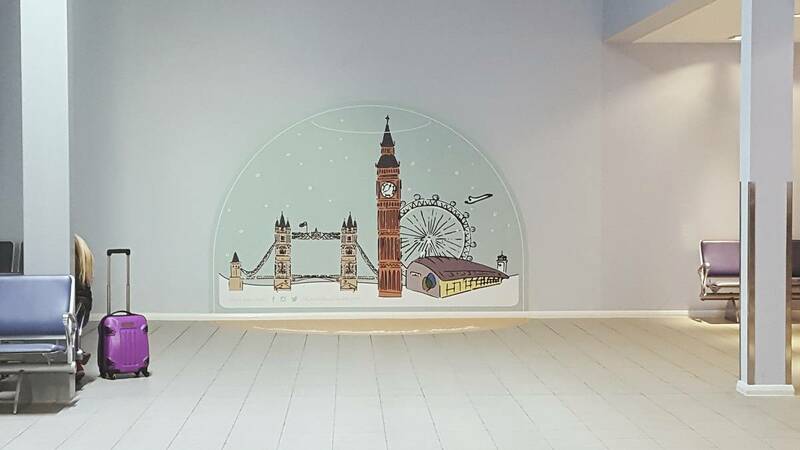 As always, my flight was delayed, so I thought what better time to put my investigative reporter hat on and answer the Frequently Asked Questions that really matter about Southend Airport. So … How much for a bottle of water? You’ll find the cheapest bottle of water at Arnolds & Forbes and it will coat you £1.50 (that’s around €2.80 / $3.50) which is nothing unusual for an airport. But the 750 ml Buxton at WHSmith costs you £1.99 (€ / $). There was at the time of my visit nowhere to refill your bottle, so not great for the environment. And can I get my Big Mac or a Grande Triple Chocolate Soya Mocha at the airport? 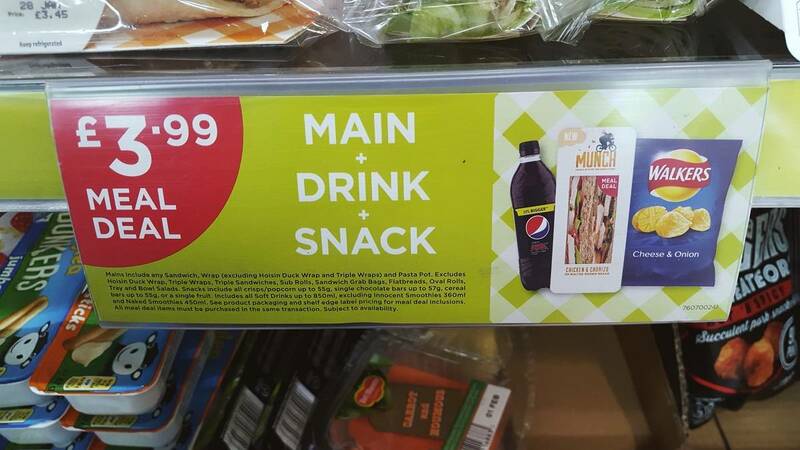 There’s no chains except for WHSmith which serves up a soggy meal deal. A pub-style restaurant, a sandwich place and some kind of dessert bar are the other options. I saw lots of people with McDonald’s bags outside and turns out there is one about 5 minutes walking distance from the airport. I know enough. Can I charge my phone, tablet and laptop while waiting? After security you can only charge at the Bourgee dessert bar. And weirdly … at the Arnold & Forbes Café Kitchen before security you can charge your phone, but after you can’t. Something to fix soon Southend! Are the chairs comfortable at all? Could I nap comfortably when I have a stopover? 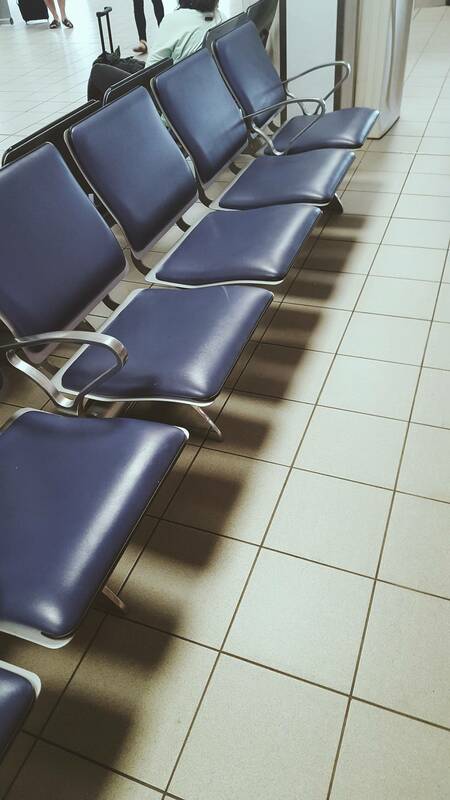 Take a look yourself … As far as airport chairs go, it’s pretty comfortable to sit. Good luck with lying down though. What about the toilets? There’s a lot of them, I don’t think I’ve ever had to wait for a free one. But the flush buttons really hard to press, which leads to people being lazy and the toilets are almost always dirty and not flushed. Anything cool you saw? 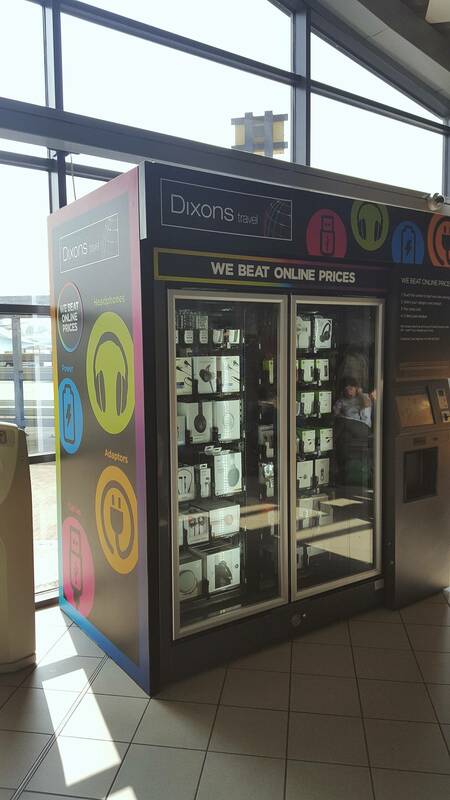 A Dixon’s vending machine to get things like adapters, headphones and chargers. The future is here! Anything else I need to know? This airport has the quickest security I have experienced, everyone seems to be in sync. And outside there is a nice green bit where you can relax ahead of your flight, so you can avoid cabin fever.